It’s back to school once again! Encourage your child to do well in school by gifting him or her with a personalized book or a personalized MP3. 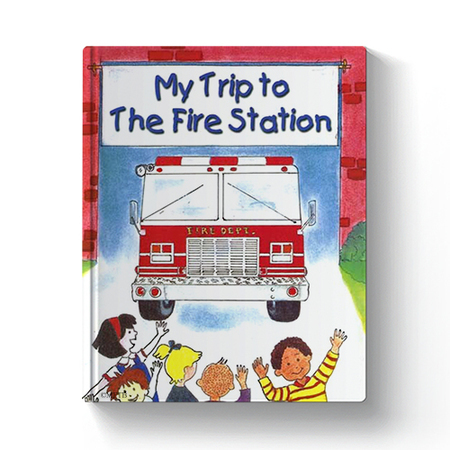 Your adventurous grade-schooler will enjoy My Trip To the Fire Station or The Big Circus personalized book. 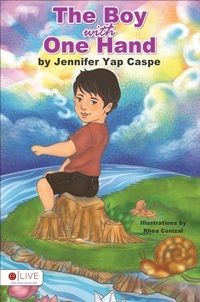 Younger kids will enjoy reading the beloved nursery rhymes in Mother Goose. But there is a twist, instead of Jack and Jill it will be your child and her friend climbing up the hill. 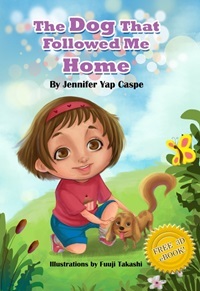 Our personalized books inspire early literacy skills by making kids the star of their own adventure. 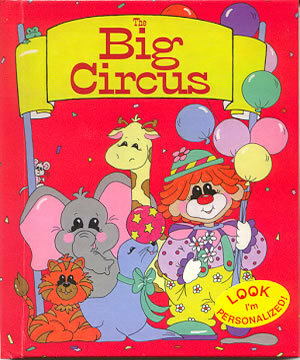 Preschoolers will love Barney Music For Me or Preschool Music for Me by Kids Jukebox. 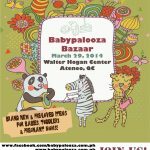 He or she will find it easy to memorize the alphabet, numbers and days of the weeks by singing along the catchy tunes that is personalized specially for your child. 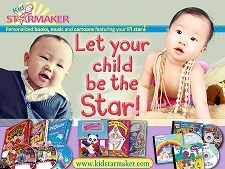 Order today by logging on to www.kidstarmaker.com or www.facebook.com/kidstarmaker. 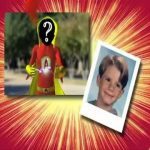 Click the STORE or SHOP button and you are on your way to personalize a very special educational keepsake for your child.